Part two in a three-part series on the No Kill Advocacy Center’s Companion Animal Protection Act (by Nathan & Jennifer Winograd). This week, a committee of the Minnesota House of Representatives will vote on HF 391, the Minnesota Companion Animal Protection Act. The bill would ban the use of the cruel gas chamber, ban the excruciatingly painful method of killing by heart sticking, prohibit shelters from killing animals when there are empty cages, make it illegal to kill animals when rescue groups are willing to save them, and end the practice of killing “owner surrendered” animals within minutes of arrival without ever giving them a chance at adoption. Introduced at the behest of Minnesota’s oldest No Kill Shelter, Animal Ark, this bill provides legal protections for animals that are already saving the lives of hundreds of thousands of animals in two states where similar provisions have already been put into place. In California, just one provision of the shelter reform law saves the lives of over 46,000 animals in that state every year, while the Delaware Companion Animal Protection Act, passed in 2010, has reduced killing in that state by 78%. (HSUS did not support either of these efforts.) Yet despite its vast lifesaving potential and support from the most progressive animal protection groups in Minnesota, the Humane Society of the United States (HSUS) asked the legislative sponsor to table the bill. Why? For one reason and one reason only: their relationship with the regressive Minnesota-based Animal Humane Society which does not want a bill regulating shelters to pass in their state. In doing so, HSUS has once again shown that when it comes to animals in shelters, they are first and foremost lobbyists for the directors of kill shelters and not advocates for the animals those shelters kill. Although the opposition in Minnesota is tragic, it is still somewhat surprising in light of recent assurances to me by HSUS that it would no longer seek to curtail shelter reform legislation. Despite the fact that HSUS had worked to kill similar bills in Texas, New York, Florida, and elsewhere, I was more optimistic about shelter reform legislation succeeding in Minnesota because two HSUS representatives—a Board member and Jennifer Fearing, the person in charge of sheltering policies for HSUS—personally assured me at a meeting in San Francisco just over a month ago that the days of HSUS claiming “neutrality” (a sham in and of itself given it benefits the status quo) but then working to kill shelter reform legislation were over. They shook my hand, looked me square in the eye, and promised it would come to an end, only to violate that promise a few weeks later at the first opportunity, stabbing the animals straight in the back. Under direct orders from Fearing and in violation of the agreement she made with the No Kill Advocacy Center, Howard Goldman, senior director for HSUS in Minnesota, urged the sponsoring legislator to drop the bill. In hopes of getting some relief for the animals being systematically killed in Minnesota shelters, the House legislative sponsor asked for a meeting with HSUS to better understand the source of HSUS’ opposition. HSUS entered the meeting side by side with a representative of the Animal Humane Society, a kill shelter committed to defeating CAPA. Representative Benson asked HSUS for suggested amendments to the language to get their support. They declined. He asked them to pick any parts of the bill they could support, such as the gas chamber and heart sticking ban, and he would strike the rest of the provisions and proceed with those sections only. Again, HSUS declined. Instead, they asked that the bill be tabled. Publicly, HSUS has stated that it is against the gas chamber, against heart sticking, for rescue rights, believes in transparency, supports bifurcated holding periods, and that all animals should be held for a period of time. Collectively, these are the very changes mandated by Minnesota CAPA, which they oppose. Of course, those public statements are designed for just that: public consumption. And public consumption means donation dollars. But when it comes to its private actions, when it comes to meetings behind closed doors with legislators where taking a stand has a life and death difference, HSUS sides with those who want to continue killing with impunity. And if they get their way in Minnesota, that is exactly what will continue to happen: animals will continue to die and die cruelly. They will continue to be killed when there are empty cages and despite rescue groups willing to save them. And they will continue to be marched from the front counter where they are surrendered straight to the kill room and then into garbage bags to await transport to a landfill. Read my letter written on behalf of the No Kill Advocacy Center in support of Minnesota CAPA by clicking here. 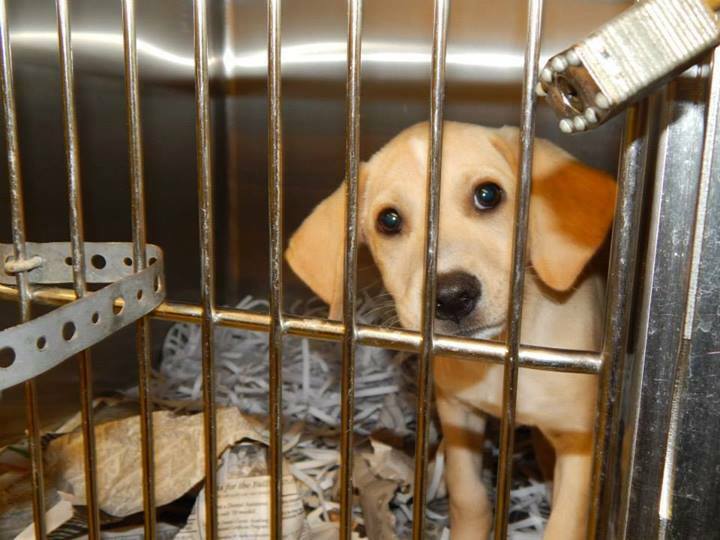 Next Up, Part III: Delaware is on the verge of ending the systematic killing of animals in all its shelters. But not everyone is happy. Delaware Naysayers are claiming CAPA is a failure despite the massive reduction in the kill rate. Why? One of their primary arguments is that shelters are no longer able to round up and kill cats. Yes, you read that right. I will explain why this and other criticisms of CAPA misrepresent the provisions of the bill and its outcomes. CAPA: Who Could Be Against It?